OptiKleen has been building a high quality business for over 36 years.Originally "Wasson Office Maintenance", Founded in 1975 by Donald Wasson. OptiKleen merged a wealth of experience and skill into a cleaning company that would earn a remarkable reputation as a Professional Cleaning Business. OptiKleen is committed to operating with a quality foundation of unwavering ethics and quality results. OptiKleen is a privately owned professional cleaning service in the Willamette Valley. We have been serving business in and around the area for over 36 years and have an excellent reputation for providing the Optimum cleaning with integrity. 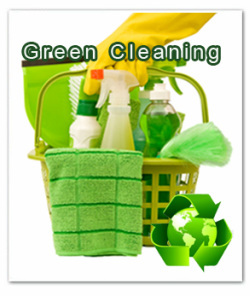 Our long-term employees (The Green Earth Team) are highly trained, honest, skilled and supervised. People in the Valley are very concerned about their environment, OptiKleen also feels responsible to help keep it Clean and Green! We use green products and practices! Honesty, integrity, and great value.